Jaylen Watkins will be deeply missed by the PhillyVoice comment section. 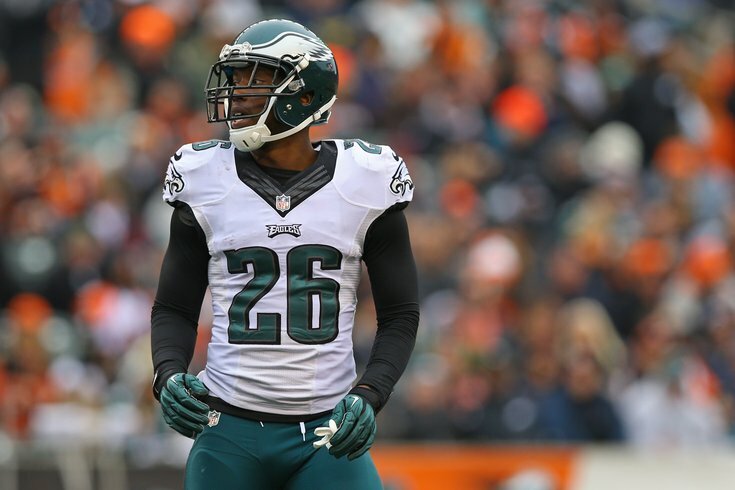 The Philadelphia Eagles' list of free agents is dwindling, as only six remain. They are (in alphabetical order) RB Kenjon Barner, OT Will Beatty, Braman Bryan Braman, LB Dannell Ellerbe, S Corey Graham, and RB Darren Sproles. Over the last week, a few lower-level players have left the Eagles, and while we wouldn't normally dedicate an individual post to guys like Najee Goode or Jaylen Watkins, enough names have piled up that we'll tackle them all here. • CB/S Jaylen Watkins: A favorite of the PhillyVoice comment section, Watkins was a versatile defensive back for the Eagles, who signed with the Los Angeles Chargers. Watkins played in four different seasons with the Eagles as a back of the roster safety and corner. In 2017, he played 168 snaps with the regular defense, and 165 on special teams. The Eagles are loaded at corner, but they're light on depth at safety. The Eagles likely would have liked to held onto Watkins, but there was no way they were going to keep him at a restricted free agent tender of $1,907,000. • LB Najee Goode: Goode was with the Eagles for five years, mostly as a special teams player. He had 64 tackles in his career with the Eagles. In 2017, Goode actually played 200 snaps with the regular defense, and 293 on special teams. With a deep linebacking corps including Jordan Hicks, Nigel Bradham, Corey Nelson, Mychal Kendricks, Paul Worrilow, Nate Gerry, Kamu Grugier-Hill, and Joe Walker, there simply wasn't room for Goode on the roster. He signed with the Indianapolis Colts to play under Frank Reich. • P Donnie Jones: And last but certainly never least, my sweet, precious Donnie "retired" in February, though we immediately speculated that he may have been given a little nudge in that direction by the Eagles. As it turns out, Jones may want to continue to play after all. That's not a "nice gesture," lol. If the Eagles wanted Jones on the roster, Jones would simply un-retire and play for the Eagles. They'd be heartless bastards if they said, "Nope, we don't really want you anymore, but you'll stay retired, punter." Anyway, it appears the NFL hasn't seen the last of Donnie, and he'll instantaneously make the team he signs with overwhelming Super Bowl favorites.